Art by young artists will be up on the 3rd floor of the David L. Pierce Art and History Center in downtown Aurora until January 2018. 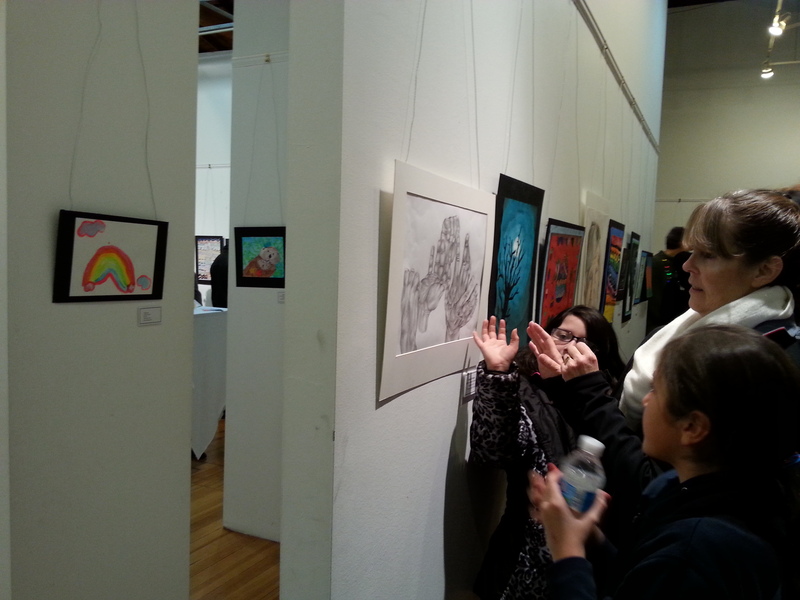 The Aurora Public Art Commission will host the Opening Reception of the 20th annual Winter Garden of Youth Art exhibit on Friday, December 8 from 5 p.m. to 7 p.m. at the Pierce Art and History Center, 20 E. Downer Place. On display through January 20, 2018, the Winter Garden of Youth Art is a dynamic exhibit of works of art by Aurora students in kindergarten through 12th grade from 31 schools. All of the works of art are chosen by art teachers or other faculty members from each school. Participating schools include: Allen, Aurora Christian, Bardwell, Beaupre, Brady, Benavides, Dieterich, East High , Fred Rodgers, Freeman, Gates, Greenman, Hall, Herget, Hermes, Hill, Hope Wall, IMSA, Jewel, Johnson, Krug, McCleery, Nicholson, Oak Park, O’Donnell, Rollins, St. Rita, Simmons, Smith, Studio Nafisa and West High. In this year’s exhibit, a variety of mediums will be on display, including paintings in acrylic, tempera, oil and watercolor; drawings in charcoal, pastel and pencil; printmaking, photography, sculptures, computer arts, jewelry, ceramics and 2D and 3D collages. Visitors can view the exhibit for free during the opening reception and every Wednesday through Saturday from 12 p.m. to 4 p.m. until January 20, 2018.